Singaporeans are usually at the forefront of anything tech, but bitcoins is one fad that has just not clicked. The virtual currency started by an anonymous group in 2009 has certainly been making waves elsewhere, but people here seem to regard it as just too risky, too hard to get your head around. There is some truth to both claims. Bitcoins do not belong to any country and are not issued by a central bank. Instead, the value is driven purely by supply and demand. Its creators devised a computer program to limit the supply to 21 million units. There are about 12.1 million in circulation today, according to bitcoincharts, a website that tracks the currency's activity. One unit of this cybermoney was worth about US$1 in 2011, but the value shot up to more than US$1,000 (S$1,270) last month on trading platform Mt.Gox, one of the world's largest bitcoin exchanges. The astronomical increase sparked concerns of an asset bubble forming. A recent report cited how US$5 billion of bitcoin value was wiped out in an hour when China's central bank banned financial institutions from dealing with the currency earlier this month. If you want to trade bitcoins, you need to set up your own digital wallet, says Mr Mohit Mehrotra, executive director of Deloitte Consulting. Users get access to private and public keys that allow them to transact with other users and spend bitcoins. "The public e-wallet contains a string of 34 numbers and letters which would act as a digital signature for users," says Mr Mehrotra. A popular way to buy and trade bitcoins is through online market exchanges like FYB-SG, which started in January and claims to be Singapore's first such service. It allows parties to trade the digital currency and provides updated prices in Singapore dollars per unit of bitcoin. Transacted volumes crossed $850,000 last month, noted FYB-SG founder Luv Khemani. On Dec 17, the exchange's bidders were prepared to pay $903 per bitcoin, while sellers were hoping for $950 per unit. Within two days, the asking price had fallen 10 per cent to $810. 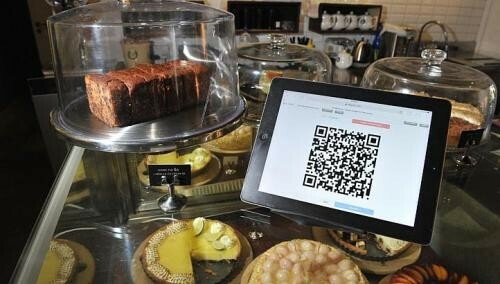 While the take-up rate among local merchants has been low, The Sunday Times found three food and beverage outlets that accept bitcoins - Hospoda Brewery, Artistry Cafe and Cad Cafe. Cad Cafe owner Chad Samson said 45 transactions have been made since September, adding up to about 3.47 bitcoins. Conversions are done based on prevailing market rates generated by the Internet point-of-sale system the cafe uses. Customers pay from their storage currency applications such as bitcoinSpinner and bitcoin Wallet. So, if one bitcoin is worth $900 at the prevailing market rate, a diner would be charged 0.011 bitcoins for a $10 meal. "We don't have a cap on spending limit for customers who use bitcoins and have accepted transactions as little as $3.50 to more than $100," says Mr Samson. "But we try to keep an eye on the value (of bitcoins to Singapore dollars) to ensure we get the best conversion rate possible." While business people are cool towards bitcoins, economists and market watchers see value in the concept. "Bitcoins are very attractive because they offer inflation protection," said Professor Jonathan Rushman of the Warwick Business School in Britain. Governments can print new money, but when the increase in the supply of its currency is not matched by real productivity growth, prices and wages start to rise. This results in inflationary pressure when the value of cash is eroded, explains Prof Rushman. "The fact that bitcoins are limited to 21 million units makes it an inflation-less currency, which is something central banks can't guarantee," he adds. Mr Greg Unsworth, Asia-Pacific technology leader at PwC Singapore, notes that there is an increasing need to enable digital transactions, with e-commerce growing. "Fiat currencies can be used (as payment), but only through the use of third-party credit card or payment providers such as PayPal," he says. "This results in some inefficiency as a customer cannot directly transact with a vendor online, and leads to additional charges and fees." Virtual currencies can address such waste. The biggest risk for bitcoin holders is unfavourable regulation, which could erode confidence of the currency and render it worthless, says Prof Rushman. The most recent episode occurred in China when the country's biggest search engine, Baidu, stopped accepting bitcoins after restrictions were imposed on them. The Monetary Authority of Singapore (MAS) had said earlier this year that virtual currencies, including bitcoins, do not fall under its regulatory ambit, and it warned consumers about trading them. "Consumers should be aware that if bitcoin ceases to operate, there may not be an identifiable party responsible for refunding their money or for them to seek recourse," said the MAS statement. Trust and security issues have also been raised over using a decentralised currency, says PwC Singapore's Mr Unsworth. "There have been incidents of theft of bitcoins or individuals losing their bitcoin value through the loss of hard drives," he adds. Media reports cite at least 30 instances involving 1,000 bitcoin units that were illegally transferred or stolen. Recently, the German police arrested two suspects in a fraud probe into illegally generated bitcoins worth 700,000 euros (S$1.2 million). Separately, some 96,000 bitcoins were said to have been taken in a heist from an online marketplace known for selling illegal drugs. Deloitte Consulting's Mr Mehrotra said that the decentralised nature of bitcoins could also be a bane. "Without a centralised clearing house, there will not be a support structure to assist users in the event of any errors or mistakes that occur during a bitcoin transaction," he said. "And if a bitcoin user loses the e-wallet, the money is gone forever." Mr Rajesh Sreenivasan, a partner at law firm Rajah & Tann, says buyers or holders of bitcoins have no legal recourse over the value of the currency: "You can liken bitcoin to the Internet and ask yourself, who will you sue if the Internet fails or is barred from a country one day?" But this does not mean you cannot take legal action against parties involved as intermediaries. "It is possible that platforms which provide storage facilities or e-wallets for the currency, or those that act as mediums for bitcoin trading, can be legally liable," says Mr Sreenivasan. "If these mediums create expectations that they will provide a duty of care for the authenticity of bitcoins, they may be sued for negligence and misrepresentation." Using the same analogy, he likened possible legal recourse to Web users suing Internet service providers rather than the founders and creators of the Internet. "Traders and buyers of bitcoins must go in with their eyes open and cannot expect to sue someone if the currency fails," he cautions.